What are pumpkins, fruit or vegetable? The experts say that the pumpkin is a fruit because it is similar to a cucumber or tomato with its seeds grown on the inside. Seeds of a pumpkin are ripened from the ovary of the female flower. To grow pumpkins one needs quite a lot of space as they are a ranking plants that spreads vines out over large areas. If you have a place in your garden where you have some space with reasonable soil in direct sunlight then you can grow pumpkins. What to do to grow pumpkins. 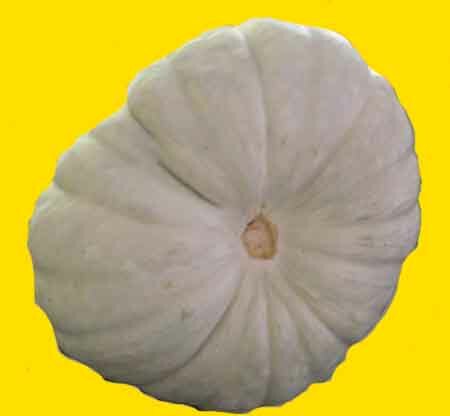 These days one can buy seeds of the many different species of pumpkins off the shelf so go out and get the pumpkin seed of your choice. Select the bed where you want to plant your pumpkins keeping in mind that the pumpkin will need about two metres of space per plant. Its vines can grow up to eight or nine metres in length so once it grows it will take over the space of other nearby plants. Pumpkins are pretty strong plants and other than watering will not require too much attention. Prepare your bed by clearing it of weeds and then dig in some compost which will assist in keeping the soil moist. Pumpkins should be planted in early summer in direct sunlight. When planting pumpkins there are two schools of thought as to how you should prepare the beds. Both are listed below. 1. Pumpkin seeds should be planted in little mounds of soil about a metre apart. Planting pumpkins seeds in mounds is similar to the process used when planting squash which are also planted in mounds. 2. Pumpkin seeds need not be planted in mounds. Seeds can be placed in long narrow ditches and will grow just as well as when planting in mounds. If however you live in an area where there is a lot of rain which results in standing water then you should use the mound process to plant your pumpkin seeds. Once you have decided which process you want to use then either prepare the mounds or the trenches you want to use. For the mounds dig a 2.5cm deep hole in the top of the mound then add 4-5 seeds per hole and cover the seeds with the soil you removed. Water the mounds to consolidate the soil around the seeds. Dig your trenches 2.5cm deep and spread the seeds along the trench. Cover the seeds with soil and then water the soil to consolidate the soil around the seeds. If you live in an area where there is frost wait until the danger of frost is past and your soil has warmed up a bit before planting your seeds. Ground temperature should be at least 20-25°C (70-75°F). A trick used by pumpkin growing experts is to file the end off each pumpkin seed and then soak it in warm water for a short while before planting. This apparently helps the seed to germinate faster. If you are intending to plant a large garden with pumpkin seeds the above process is impossible as it will take weeks to file the end off each seed. Once planted your seeds should take between 7 and 10 days to sprout. Once the seedlings are up you should add some compost around each plant. This will keep the plant moist and the weeds away. Pumpkins should be watered every day in the morning. Pumpkins do not like their leaves to be wet so aim your water at the base of the plant where the roots are and not on the leaves. Watering the leaves especially in the evening could cause disease such as mould to form on the plant. Once the pumpkins start growing the vines can become pretty large and yellow flowers will start appearing on the vine. These first flowers are the male flowers and their job is to attract bees to the plant to pollinate the plant. Between 7 and 10 days after the first male flower appears the female flowers will start opening. If the male flowers start dying before the female flowers arrive, do not worry about them as their main function is to attract the bees. The male and female flowers look different from each other. You can tell the difference between a male flower and a female flower by the shape of the base where the stem attaches to the flower. If it is straight it is a male. If the flower has a small bulb at the base, it is a female. Once the female flowers have been pollinated they will die off and the fruit will start forming on the vine. Watch the vines carefully and prune out any vine which does not seem to be producing. You can also start fertilising the plants now. Keep watering your pumpkins every day. Your pumpkins will start maturing between 85 and 125 days after planting. When to pick the pumpkin. After about 85 days you should have large fruit on your vines but this is not necessarily the time to pick them. Wait until the vine starts to die as this is the signal that the pumpkin is no longer dependent on the plant. Pumpkins picked at this stage should be sweet whereas pumpkins picked when the vine is still growing are bitter. The extra days to mature allow the pumpkin to sweeten up.